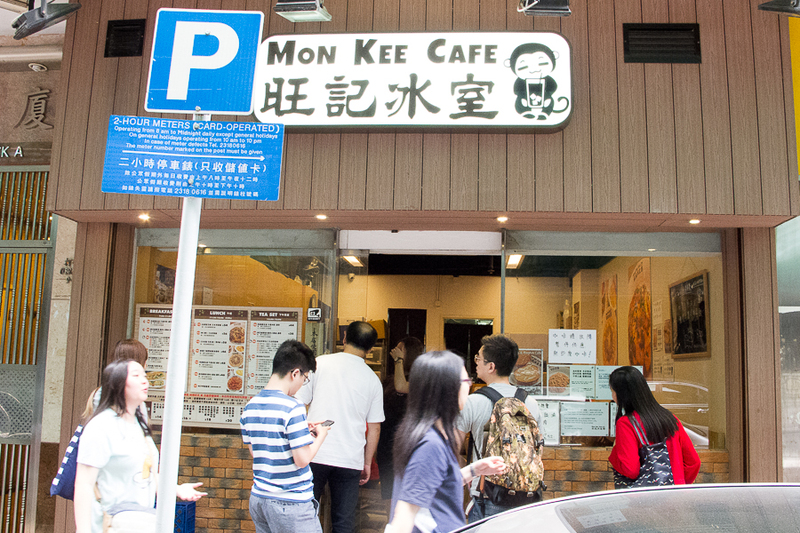 [Hong Kong] From the exterior, Mon Kee Café 旺記冰室 appears to be a typical “ Cha Chaan Teng” (Hong Kong style café) along a street of shophouses dotted with small eateries. Playing around with the shop name “Mon Kee” sounding like “Monkey”, their signboard has a picture of a monkey on it. Contrary to their name, they certainly do not monkey around with their food. 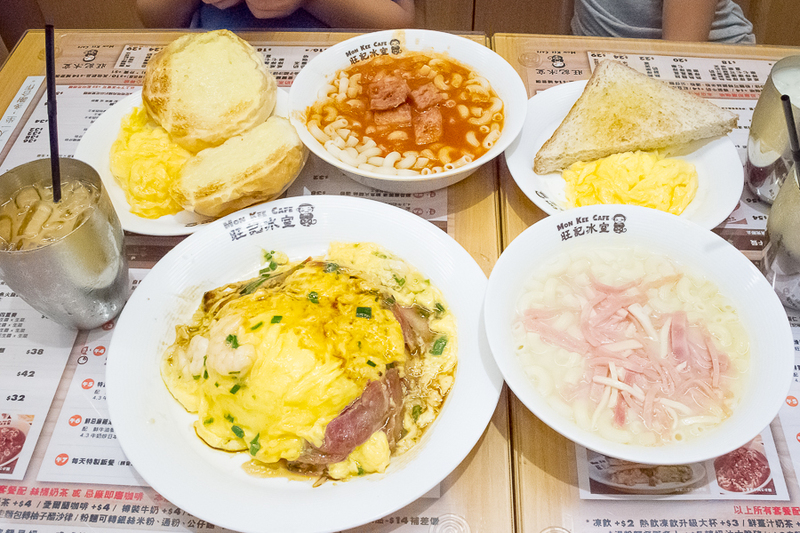 In fact, what makes them stand out is how they added some variation to the otherwise typical Hong Kong café fare. Opened in late 2016, Mon Kee has gained a huge popularity with the hungry working crowd in Wan Chai. They have even opened their second outlet in Quarry Bay just 9 months after the success of their first. 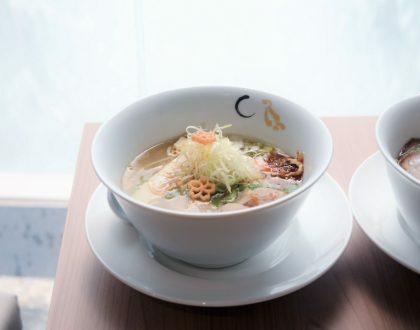 During weekday lunch hours, be prepared to queue in line with hungry locals waiting to get into this 24 seats café. For small eateries like these, focusing on a few key offerings tends to work towards their favour. 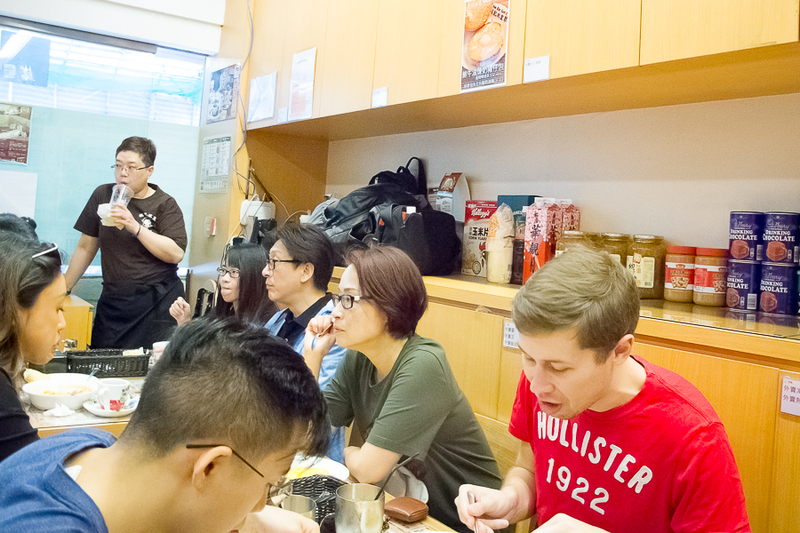 The setting here is simple and basic, probably what is to be expected of a typical Hong Kong café but a notch above the typical run-down looking ones. 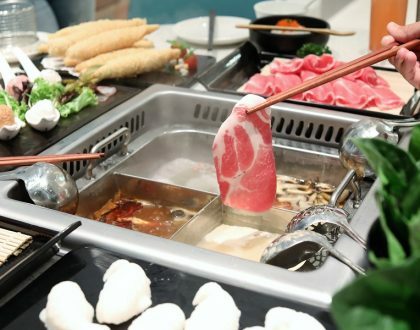 Due to the size of the café and the amount of people wanting a quick meal during peak hours, there is a time limit of 30 minutes for diners to have their meal and go which also means food will be served fairly quick. 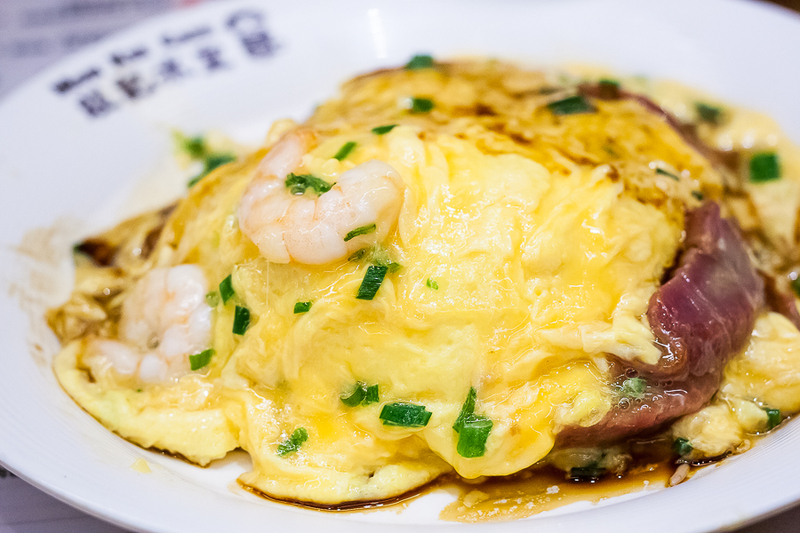 I ordered the combination 日本滑蛋雙併飯 lunch set HKD58 (SGD10) – which was prawns and BBQ pork slices with scrambled eggs topped on a bed of rice and drenched with their secret homemade sweet soy sauce. 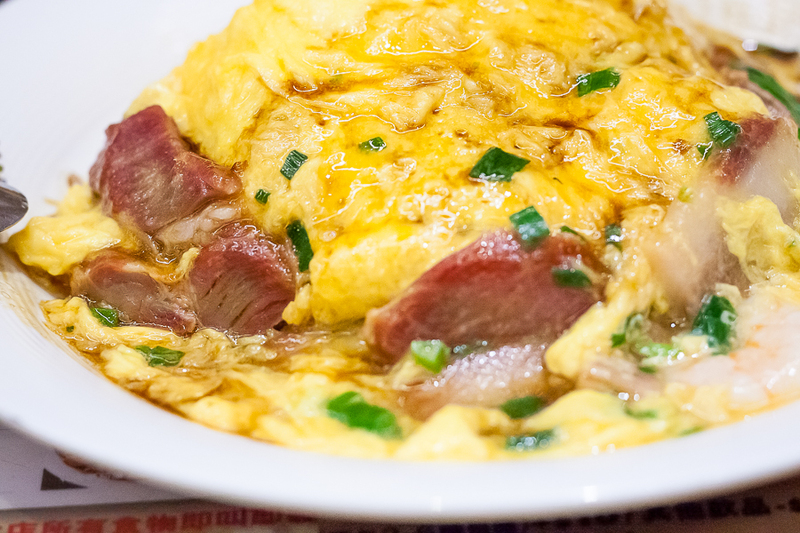 Eggs were silky and delicious like how the good Hong Kong-style scrambled eggs are done. I liked how their homemade sauce complements but not overwhelm the taste of the eggs. 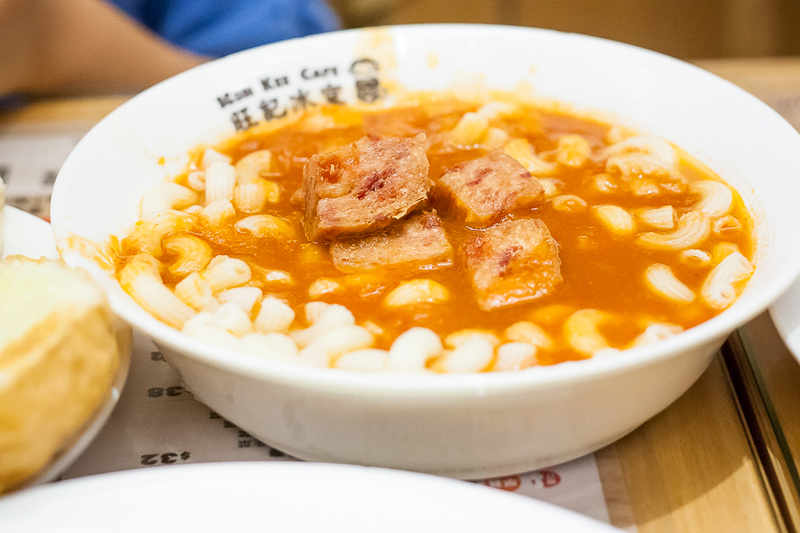 I also ordered the Luncheon Meat and Macaroni in Thick Tomato Soup Set 特濃蕃茄湯午餐肉粒通粉 HK$48 (SGD8.50) since it looked very comforting from the picture menu. The fried luncheon meat cubes were addictive and the tangy broth balanced out the flavours. The macaroni sets came with multigrain toast and a small portion of scrambled eggs. 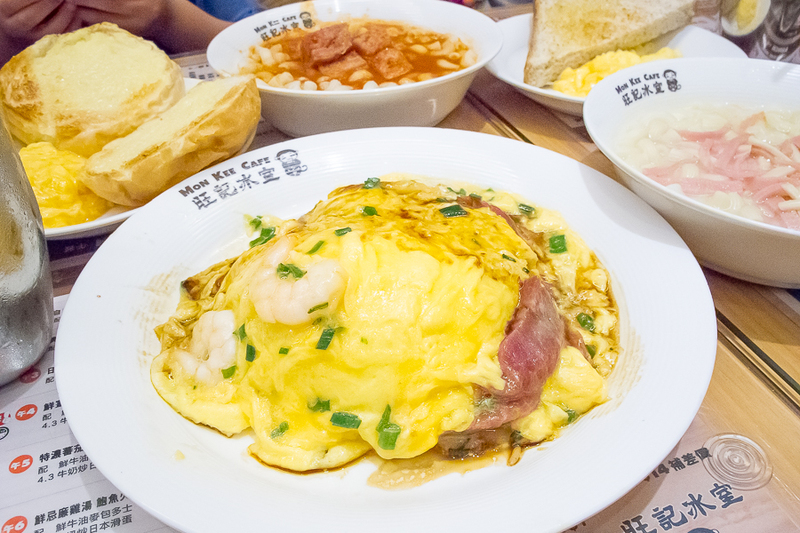 While the Ham and Shredded Squid Macaroni Soup HK$46 (SGD8) is a typical local breakfast fare, the macaroni still had a chew to it unlike some of the other ones which can often be too soggy for my liking. All sets came with a drink of either a hot coffee with milk or “stockings” milk tea 絲襪奶茶. For an additional HK$4, you may upgrade your drink to an Irish coffee or a ginger milk tea, which we only noticed after we ordered. 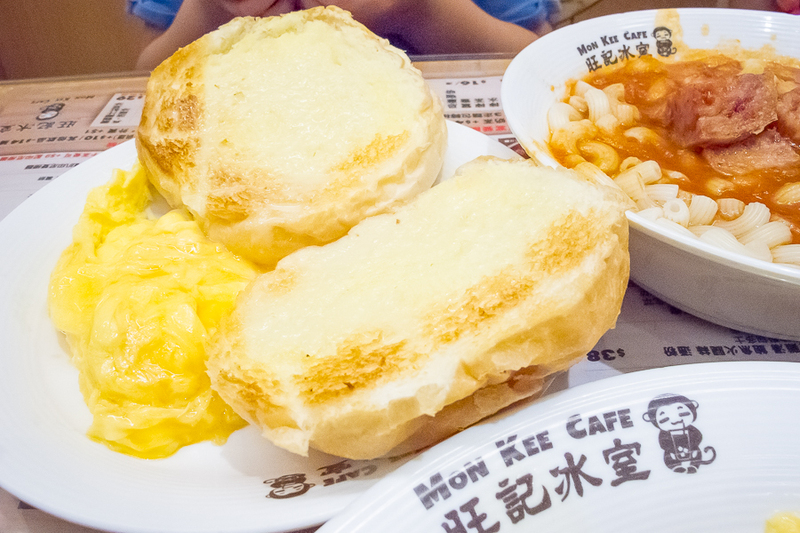 I also recommend upgrading your toast to the piggy bun with condensed milk 奶油脆豬 for an additional HK$5 (SGD1). The buns were nicely toasted and buttered, probably one of the better ones around. 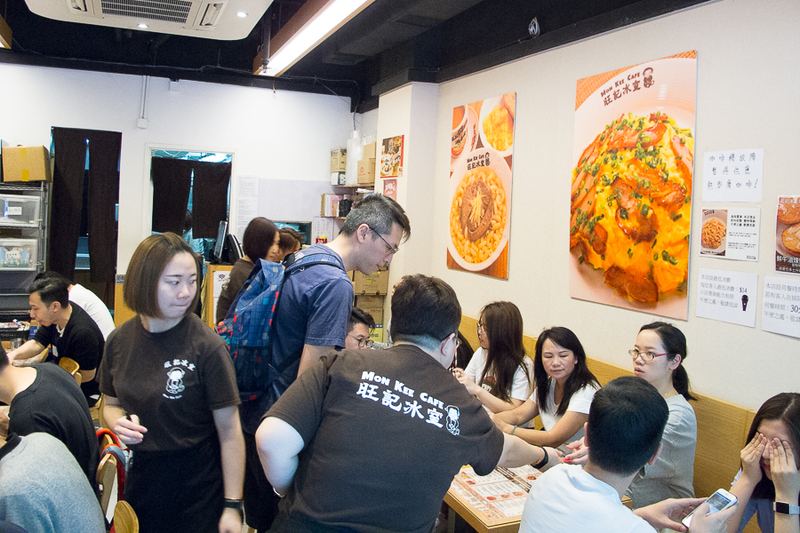 Mon Kee is popular among the working crowd as it checks all the boxes for a good lunch spot – good price, fast and tasty. 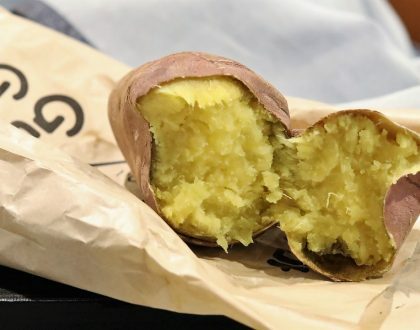 And the fact that they added a little twist of their own to an otherwise very typical local dish, makes for some hype among the local foodies too. Do take note that they close by 6pm daily and if you are not into queuing, a good trick is to go during the weekends so you don’t have to fight with the working crowd.